Today I’m pleased to introduce David Kudler, the author of the historical (and sometimes classed as fantasy) novel Risuko. 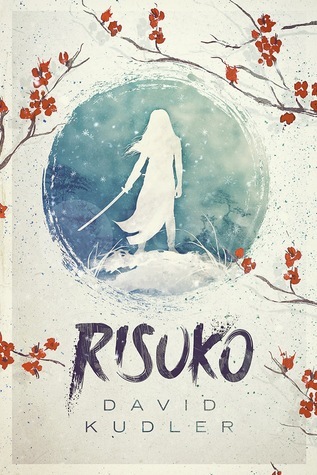 Risuko is the story of a young girl who is on a path to discover who she is in a war-torn Japan. It’s the first novel in a projected four part series called Seasons of the Sword. *･゜First off, I’d like to say congratulations! 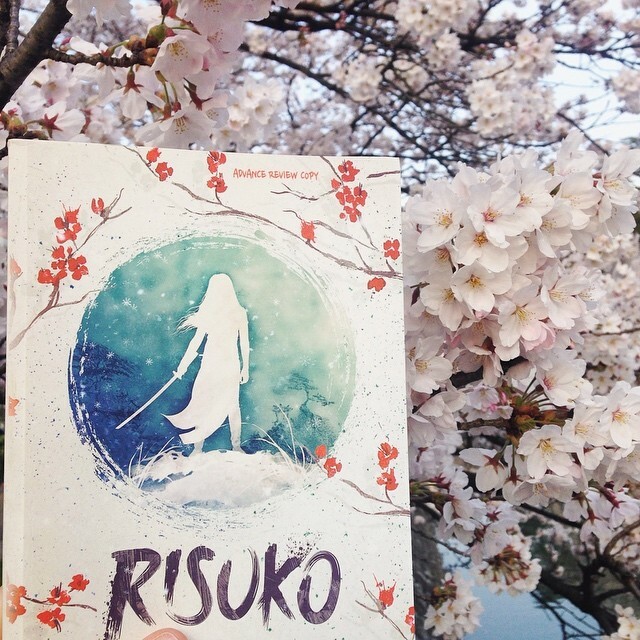 You’re celebrating a month since your young adult novel Risuko has been released. How does that feel? DK: It’s a wonderful feeling. I’ve been working on Risuko on and off for over a decade; it’s really amazing to hold the book in your hand. At the same time, it’s a little overwhelming. You get to the release date and it feels like you’ve run a marathon–but then you cross the finish line and realize that it’s time to run another marathon, because you need to keep promoting the book, not to mention writing the next one! *･゜I know you’ve written extensively about where your inspiration came from for Risuko, but in case readers are unaware, could you tell us again what made you decide to write a novel like Risuko? DK: There were a couple of different sources of inspiration. Some years ago, I was leafing through an old issue of New Moon, a magazine of my daughters’, and came across an article titled “Killer Accessories.” Very briefly, it told the story of a Japanese noblewoman, a war widow by the name of Mochizuki Chiyome, who had trained a group of women called kunoichi during the period in Japanese history known as Sengoku Jidai–the Civil War era that lasted from 1467 to 1603 (by the Western calendar). The article described how, under the pretense of running a school for shrine maidens, Lady Chiyome built a small army of “dangerous flowers.” It showed an assortment of the kunoichi‘s specialized weapons–fans with knife blades, fake fingernails with poisoned tips, reinforced parasols that could be used as shields–and finally said that Lady Chiyome’s army had faded into obscurity after the death of their patron, Takeda Shingen. Well,I thought, there’s a story that has to be written! And I started to do research, and I started to think about how to bring this story–and the amazing, awful period during which it took place–to life. A few weeks later, I wrote the first draft of what is now the first chapter of the book. the girl up in the pine tree didn’t have a name, and I didn’t know where the story was going. That would take a long, long time. But I knew she was going to be a kunoichi. *･゜When did the name for your protagonist come to you? Is there any special reasoning behind your choice? DK: Well, she’s got two different names, each of which came to me a different way. She’s got the nickname, Risuko, which means “squirrel girl.” That’s how most people in the book know her. That came to me as I was writing the very first chapter–here I had a girl way up in a tree, and I was trying to think what to call her, and I realized the “squirrel” made sense! Then there’s her given name: Murasaki. Lady Murasaki was a great Japanese author who lived about three hundred years before the events in Risuko. She wrote what has been called the first novel, a long, long love story called The Tales of Genji. Now, Risuko herself is the narrator of the novel, and I was trying to think of an appropriate name–I kept trying to come up with a variation on Scheherazade, but there’s nothing Japanese sounding about that. And then I remembered medieval Japan’s greatest storyteller, and I knew what Risuko’s given name had to be. *･゜You wrote in one of your recent blog posts about writing historical fiction as fantasy and the challenges that come with that. Did you have any moments where you doubted your choice to place your novel in a historical setting like this? After all, many authors have gone the route of being inspired by a culture and its history but have created completely fictional, historical moments. DK: It’s funny; at a reader’s recommendation, I’ve just read a wonderful trilogy by Robin LaFevers called His Fair Assassin that shares some themes with my Seasons of the Sword series: it features teen girl assassins who are trained in a convent in hope of ending a protracted war, and the books are set about a hundred years before Risuko–though it’s in Brittany, rather than Japan. They other big difference: they’re historical fantasy. There’s a supernatural element that’s central to the books that allows the author to do some really fun things. As I was working on Risuko, though I considered making the books fantasy, I decided to keep them purely historical. The reason is that the period in which Risuko lives is pretty fantastical. There were epic battles, betrayals and reversals that would make George R.R. Martin’s head spin, there was a class of honor and dishonor (which is truly good; which is truly evil?). And of course there were kunoichi–teen girl assassins–for real! So I cheated a bit. Japan was (and is) a deeply spiritual place. Most Japanese are now and were back then both Buddhists–believing that the whole world exists in the Buddha mind, which is itself the world–and also Shintō, believing in a huge multiplicity of local gods and spirits. If you’ve seen any of Hayao Miyazaki’s films (like Totoro or Spirited Away), you have a sense of just how teaming with fantastical creatures the Shintō tradition holds the world to be. And so Risuko and the people around her believe in magic, believe that the spirits are acting constantly around them–seen and unseen. Because of that, I can have a kitsune, a trickster fox spirit, appear in Risuko. Even the cynical Lady Chiyome believes in it (a little, at least), and so whether you look at is as an actual supernatural presence or as their explanation for inexplicable goings on is up to you! But I wanted the readers to be able to truly put themselves in Risuko’s shoes. I wanted them to feel that the world of the books was real to them, for all of the things going on that are quite different from life today. *･゜Can you describe a typical day in your writing process? DK: I’ve found that I write best early in the morning and late at night. I guess being a bit sleepy keeps my internal editor from kicking in. The schedule is convenient, because I’m also a book editor and, for the time I was writing Risuko, a stay-at-home dad. So I can take care of my other duties while I’m wide awake! I finished the first draft of Risuko writing in bed every night, just before going to sleep. I’ve always read at bed time, so it felt natural to write then instead. And one of the most interesting things that happened was that I’d find myself mulling over any questions or problems–What’s going to happen next? or Why did he say that? or How do I get Risuko back up the tree?–as I was falling asleep. And inevitably the answer would come to me as I was sleeping. I’d get up, get the kids (and my wife, a teacher) off to school, and then write (and rewrite) based on that night’s inspiration. *･゜What were your favorite moments to write? DK: Well, I have to say, there were a number of times when the two oldest characters, Lady Chiyome and Kee Sun (the Korean cook) said things to Risuko that she didn’t expect. She’s a pretty serious young woman, and here are these two snarky old people blowing her world up over and over again. Not sure what that says about me as a parent, but I enjoyed those scenes! *･゜And who was your favorite character? DK: Now, you’re going to think, based on what I just said, that my favorite charater was Chiyome or Kee Sun. And I do love them. I love Risuko too; she’s an incredibly brave soul–and not just because she’s willing to climb so high. I love Masugu, the Takeda warrior, who tries so hard always to do the right thing. But my favorite character is Mieko. She is the absolute epitome of the traditional Japanese feminine ideal in all of its restrictive beauty: quiet, decorous, polite, and kind. She’s also the most lethal killer in a book full of soldiers and bandits. I’ve had fun exploring her back-story in some stories that I’m sharing with my newsletter subscribers. She’s a really fascinating lady. *･゜A lot of the books you’ve mentioned on your blog (such as The Song of the Lioness) are books that I loved reading while growing up. If you could live in any fictional world, what would you choose? DK: Well, not Risuko’s Japan, that’s for sure! All of the things that make it an exciting place to write about–the social turmoil, the hundred-year-long war–made it awful as a time to live I imagine. Tortall in the Alanna books isn’t a whole lot better. Likewise, I don’t think I’d want to live in Harry Potter’s magical world, though I’d sure love to visit. So if I had to choose a fictional world…I’d choose the Shire. I’m awfully tall for a hobbit, but it seems like a pretty nice place to live. And if I wanted adventure…Well, there’s plenty of that–outside, over there. *･゜Do you have any tips for aspiring authors? DK: Write. Write, write, and then write some more. Share everything you can, whether it’s on a blog, on a website like Wattpad, or in a writing group, but get feedback on what you’ve written. And then rewrite–not trying to match the feedback but definitely learning from it. No text ever written couldn’t use an edit. Also, read. Read books. Read good books. Read trashy books. Read new books. Read old ones. Read lots of different genres. When you start writing, you’ll realize that every one of those writers has struggled with the same problems you have; figure out how they dealt with them. And don’t let bad reviews/comments get you down. If you can learn something from them, great. If not…Well, opinions are like backsides. Everyone’s got one. *･゜Thank you for taking the time to do an interview with me! Where can readers contact you? DK: I’d love it if they’d email me at david@risuko.net. I’m also on Twitter and Instagram (@risukokunoichi), on Tumbler (risuko-chan.tumbler.com), and on Livejournal (risuko). 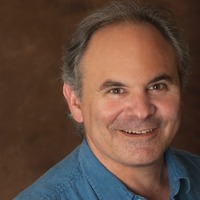 I had a wonderful time interviewing David Kudler. He was a great interviewee! Risuko was available on June 15th, 2016. Check it out if you like Japanese history, a little bit of fantasy (or not! ), and young adult literature!